RATIO.CITY is transforming the traditional Real Estate Development Industry to help build great cities. 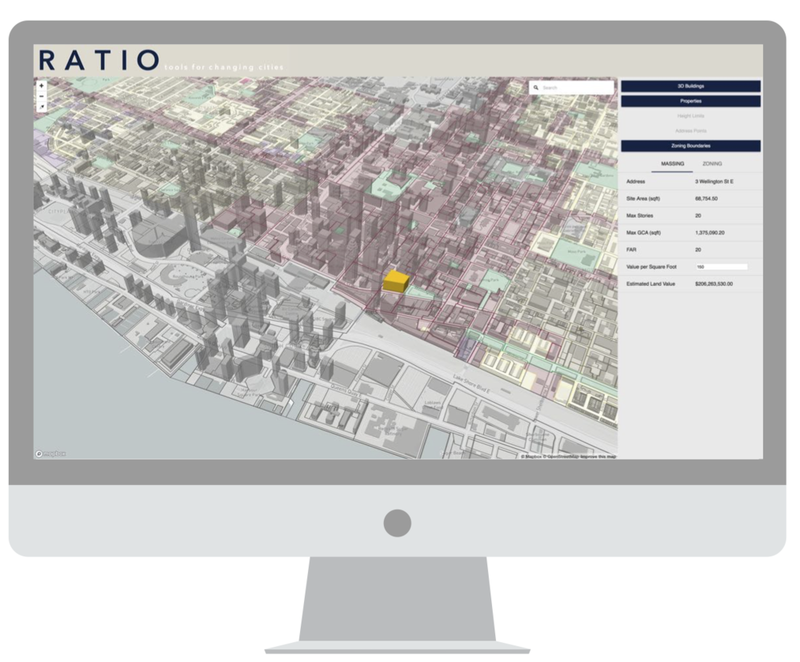 Our online mapping and analysis tools unlock potential development locations quickly and strategically, helping urban redevelopment projects get through the municipal approvals process and out of the ground faster. Instant site analysis and 3D built form evaluation gives Real Estate Industry Professionals the information they need to make strategic decisions; optimizing staff and consultant time, ultimately reducing investment risk and saving on land carrying costs. Search the whole city for your specific target criteria. Customized filters can be based on zoning regulations, urban structure, existing use, physical characteristics such as size or number of frontages, proximity to transit or by neighbourhood. Analyze various building massing options based on Municipal Guidelines and regulations and customize based on your target niche, pro forma requirements and neighbourhood precedents. Generate realistic 3D building massing proposals instantly and determine land value at the touch of a button. Keep track of sites investigated and their status. Automatically generate and export PDFs or CVS summary reports to collaborate with Consultants and Stakeholders easily.. Generate customized 3D building massing instantly. Test various alternatives easily to establish land valuation and understand your risk sensitivities.